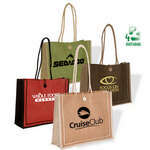 Everyone is going green these days which makes having an eco friendly promotional shopping bag or tote a fantastic way to make a great impression with customers and potential customers. 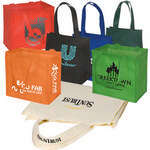 All of our eco friendly promotional bags at Promotion Pros are made from recyclable materials, reusable, or both, and come imprinted with your brand or logo on them. 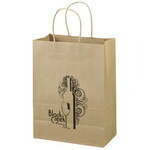 Our branded eco Shoppe paper bag - vogue is made from 100% recycled paper (with a minimum of 95% recycled post-consumer content). 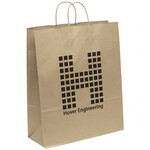 This custom logo eco shopper paper bag - brute is made from 100% recycled paper (with a minimum of 95% recycled post-consumer content). 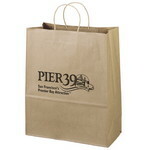 The promotional eco shopper paper bag - citation is made from 100% recycled paper (with a minimum of 95% recycled post-consumer content). Our branded eco shopper paper bag - duke is made from 100% recycled paper (with a minimum of 95% recycled post-consumer content). 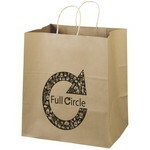 This custom logo eco shopper paper bag - jenny is made from 100% recycled paper (with a minimum of 95% recycled post-consumer content). Our branded eco shopper paper bag - mini is made from 100% recycled paper (with a minimum of 95% recycled post-consumer content). The promotional eco shopper paper bag - pup is made from 100% recycled paper (with a minimum of 95% recycled post-consumer content). The promotional eco shopper paper bag - Stephanie is made from 100% recycled paper (with a minimum of 95% recycled post-consumer content). Go Green with the Eco-Green Tote. 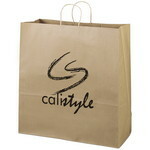 This Tote is an Eco-Responsible™ product. 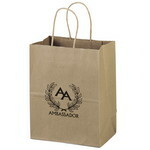 The Milan Jute Tote from Quality logo Products is an eco-responsible product made from jute, a natural vegetable fiber, and colored with azo-free dye. 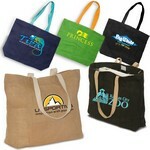 The personalized Jute tote has 25" cotton rope handles and comes in your choice of colors. 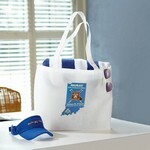 Our Eco Friendly Convention Tote has a large shoulder strap for better carrying comfort. 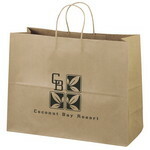 Econo Enviro-Shopper bag is an ideal replacement for paper or plastic grocery or shopping bags. 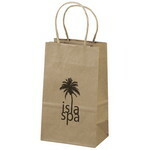 This bag has bottom gussets with matching covered cardboard bottom insert.